The book, “Color Zoo” is fun for studying animals, shapes, and colors. There are nine shapes illustrated, circles, squares, rectangles… These shapes are put together to form pictures of animals, first a tiger, then a mouse. It’s suprising what we can draw using shapes. This month we are also studying shapes. Today we made big shapes with our bodies. We could make triangles, squares, rectangles, diamonds, and stars too.It was so much fun! You should try it! 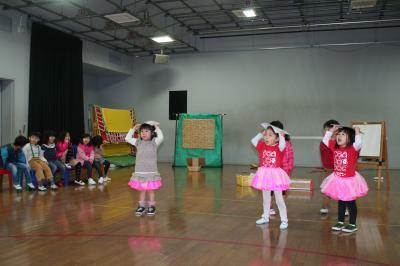 Sunday, Feburary 24th we had our open school & performance. Our families and guests came to see us. 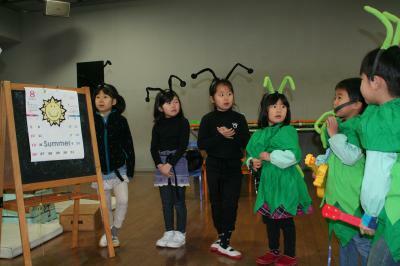 We sang songs, danced, displayed our talents, and performed our play, “Ants and Grasshoppers”. We were nervous a little, but did our best. We are so happy our families were there to cheer us on. Thank you all for coming and supporting us. This afternoon we had a fire drill. After hearing the emergency bell and siren, and carefully listening an announcement we went outside to hear a safety lecture. 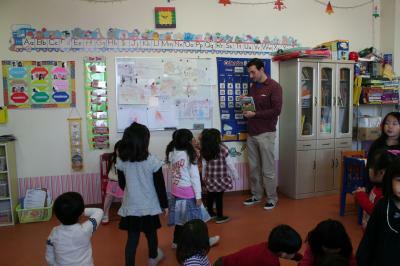 Our teacher practiced using a fire extinguisher. 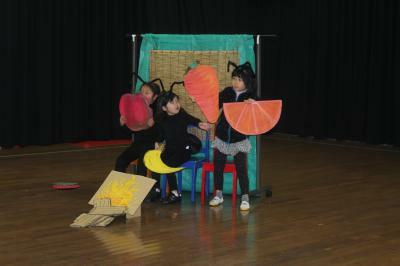 Our mommies made costumes for us to wear in our play, “Ants and Grasshoppers.” They are so nice, we can’t wait to wear them for our performance.Today we had a dress reheasal. We are looking forward the real play this Sunday. Today at work book time we wrote the alphabet and counted numbers. 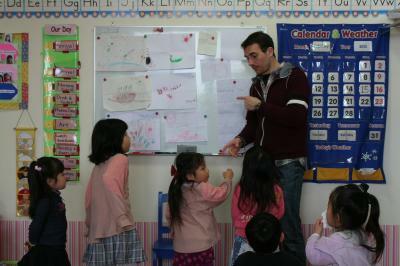 We all did a really good job, and got a high – five from our teacher. 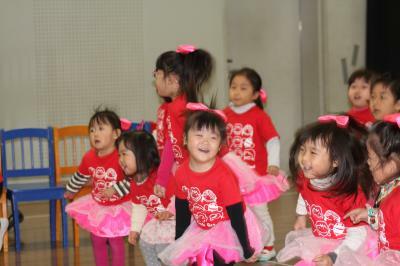 This Sunday we will have our open school & performance. 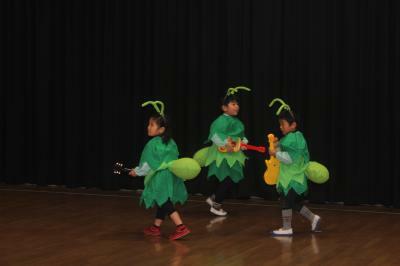 We will sing songs, dance, display our talents, and our older students will perform their play, “Ants and Grasshoppers.”We are practicing hard everyday, we hope our parents will be pleased! Every Friday is show and tell day. Today’s topic was “animal homes.” We drew pictures of animal homes like nests and caves, and discussed them. It was fun! Today is Valentine’s Day. We made Valentine’s Day cards to give to our daddies & mommies. 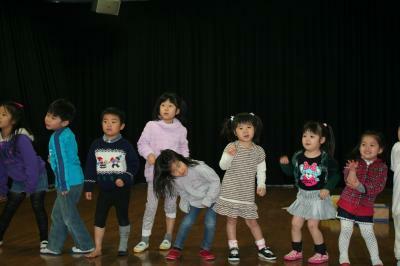 Today we practiced our songs and play for our open school later this month. 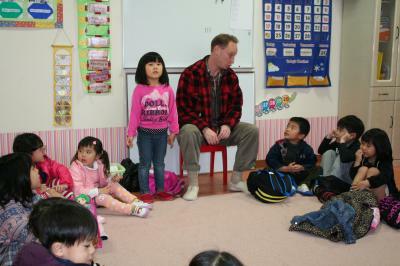 Today is show and tell day. Our assignment for today was to draw a picture of our favorite part of the story “The Three Little Pigs.” My favorite part is when the wolf tries to blow down the house of bricks. It’s SO funny! What’s your favorite part? 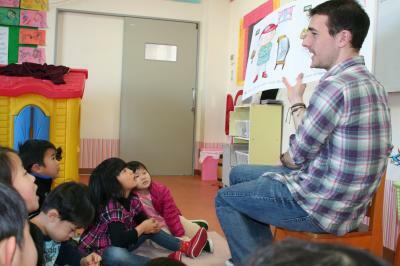 This month’s study topics are rooms and things related to houses. Today we made clay houses. 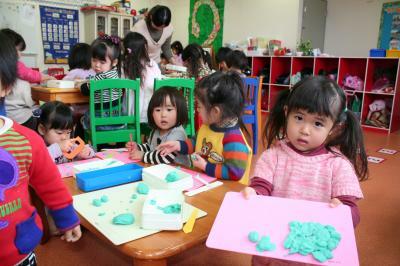 Using clay helps us develop our motor skills, and in this case, our English skills too! 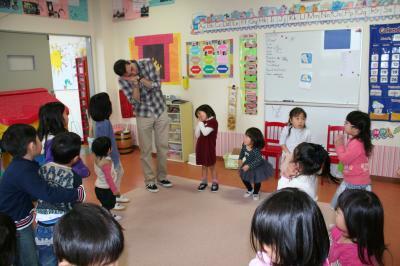 Every afternoon we make a “good-bye” circle to prepair our belongings for going home. 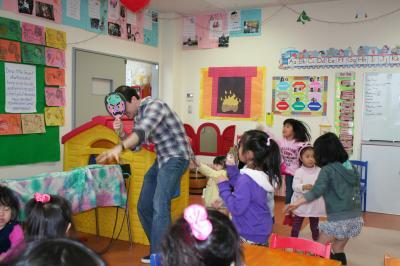 It’s also a very important time sing to sing songs and say good-bye to our friends for the day. Good-bye everyone. See you tomorrow! Today an evil demon came to our school and we cast him out by thowing beans at him.